Kirk Bell January 14, 2016 Comment Now! The power and performance of your BMW M3 or M4 just not doing it for you? Fear not for BMW has an answer. 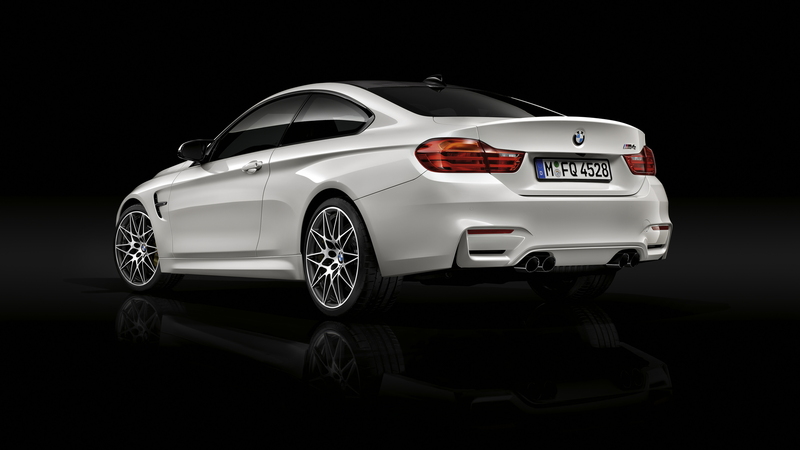 Starting this spring BMW will offer a new Competition Package for the M3 sedan and M4 coupe and convertible. The package will come with a power boost from 425 to 444 horsepower. The added power will lower the 0 to 60 mph time by 0.1 second for all models. BMW says the 0 to 60 mph sprint drops from 3.9 to 3.8 seconds for the M3 sedan and M4 coupe with the seven-speed double-clutch transmission and from 4.2 to 4.1 seconds for the M4 convertible with that transmission. The Competition Package will improve handling as well. It will feature the Adaptive M Suspension, which comes with new springs, dampers and anti-roll bars, as well as reconfigured driving modes (Comfort, Sport and Sport+). The standard Active M Differential and stability control program will be configured to match the car's upgraded capabilities. The wheels and tires will be unique as well. 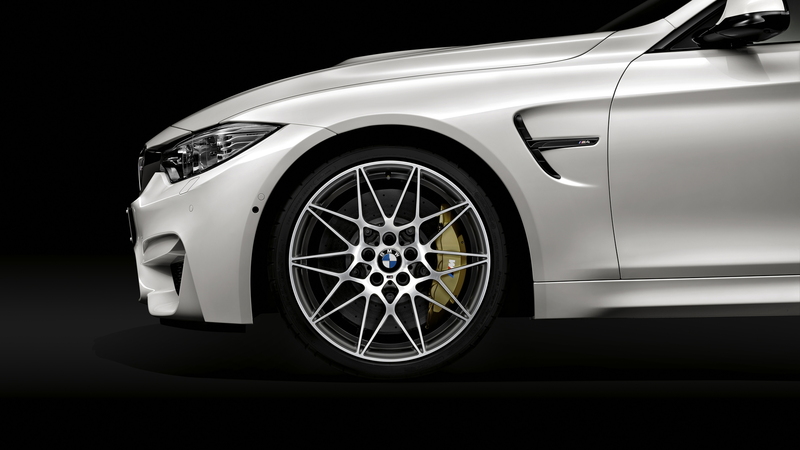 They are forged alloy wheels that BMW says have been optimized for weight and rigidity. Wheel sizes are 20x9-inches up front and 20x10-inches in the rear. The tire sizes are 265/30R20 up front and 285/30R20 out back. 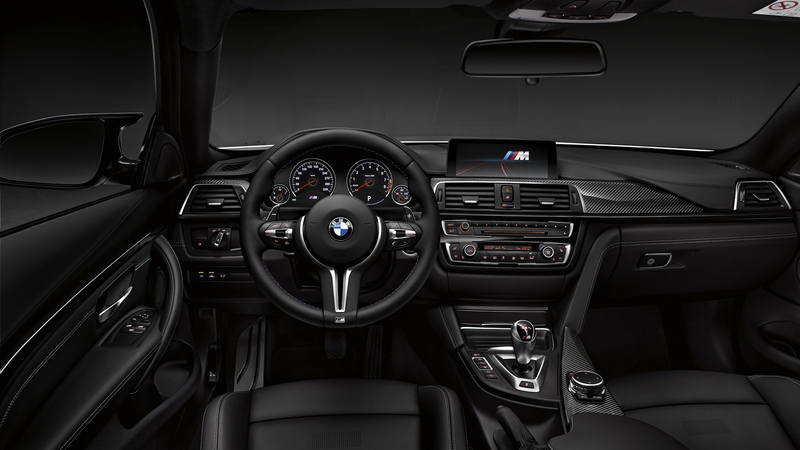 Inside the M3 and M4 coupe will add lightweight M sports seats and seat belts with woven-in BMW M stripes. Exterior changes will include the M sports exhaust system with black chrome tailpipes and high-gloss Shadow Line exterior trim. Gloss black trim will also be added to the kidney grille, side gills, and the model badge on the tail. 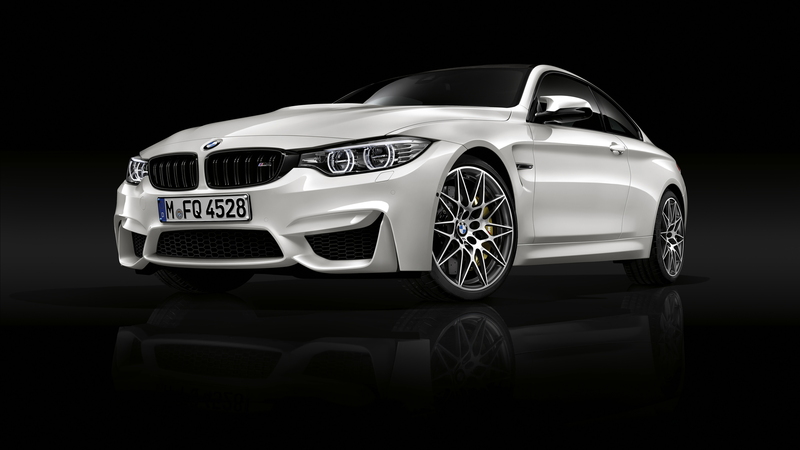 The Competition Package will cost $5,500 for the M3 and M4 coupe, and $5,000 on the M4 convertible.